State of Politics is an occasional collection of news and notes from on and around Beacon Hill compiled from the latest reports by State House News Service. 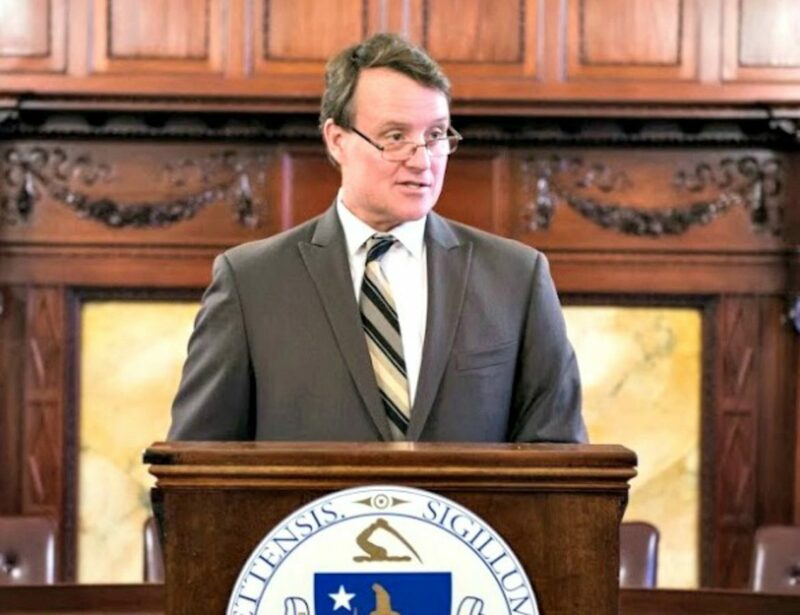 Filling a vacancy left when a senator resigned last month, Sen. Michael O. Moore, D-Millbury, will take on greater responsibility with the Joint Committee on Public Safety and Homeland Security as its “acting Senate chair,” the senator’s office announced. Moore, who had been serving as the committee’s vice chair, assumes the top Senate position on the committee in the wake of the resignation of James Timilty, who chaired the committee until resigning last month to serve as Norfolk County treasurer. Though the leadership announcement was made Monday, Moore’s office said he has already presided over two committee hearings as acting Senate chair. Moore’s office said there are 261 pieces of legislation before the committee, including bills that would implement restrictions on the operation of drones, and policy proposals to standardizing the missing persons search process. The Senate president’s office did not immediately respond when asked if the Senate plans to either appoint a permanent Senate chair for the Public Safety Committee or if Moore would at some point drop the “acting” portion of his title. The Massachusetts House appears to be preparing to consider legislation addressing English language learning programs in public schools. The Ways and Means Committee opened a poll on a bill (H 3705) written by the committee chaired by Rep. Alice Peisch related to “language opportunity for our kids.” The bill is based on legislation originally filed by Rep Jeffrey Sanchez, D-Jamaica Plain. 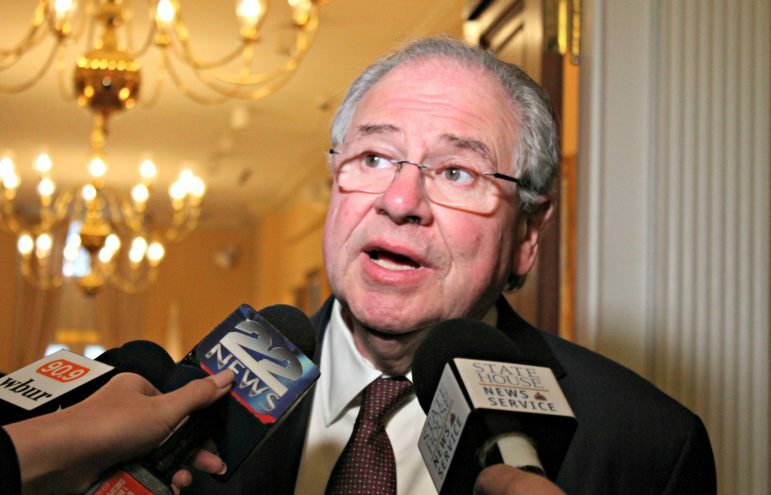 The House has a formal session scheduled for today [Wednesday, June 7], and House Speaker Robert DeLeo, D-Winthrop, said Monday he expected the session to focus on a bill coming from the Education Committee. Peisch declined to specify a bill when asked about it. It also states that in districts in which English language learners make up more than 5 percent of the student population plans to improve student performance should include approaches to ensure that non-native English speakers are making progress with speaking, reading, writing and oral comprehension. The special commission that has been studying the ever-changing world of online gaming and gambling appears poised to recommend a broad brush approach to regulating the industry. With a July 31 reporting deadline, the Special Commission on Online Gaming, Fantasy Sports Gaming and Daily Fantasy Sports met Tuesday to get a sense of where its members stand on issues discussed during public hearings. Most commission members who shared their points of view Tuesday indicated they would favor the omnibus approach. “Our view is that the Legislature’s job is to determine whether or not we want gambling online to be legal, and if the answer to that is yes, which it sort of presumptively appears to be, then come up with a regulatory environment that can deal with all of these things as they come down the pike and not have to try to be in a reactive mode,” Gaming Commission Chairman Stephen Crosby said. Hirak Shah, appointed to the commission as a representative of Senate Minority Leader Bruce E. Tarr, R-Gloucester, said Tarr would likely agree that a broad approach is best so as not to stifle a potential new industry in the state. The commission asked members to submit final thoughts to Wagner and Senate co-chair Sen. Eileen Donoghue by June 16 and expects to meet in public once more to review its draft report ahead of the July 31 deadline.